Do you know how to reduce the risk of your vendors from becoming your weakest link? In today’s environment, many institutions are investing heavily in their cybersecurity programs but often forget to invest in ensuring their vendors are doing the same. 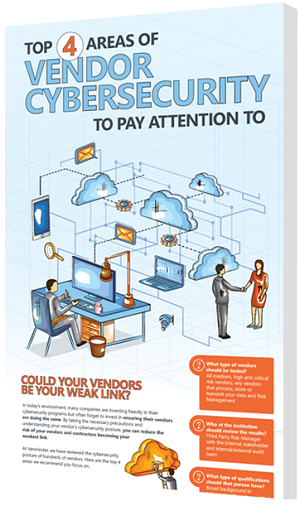 In our latest infographic, we break down four key areas to pay attention to regarding vendor cybersecurity.